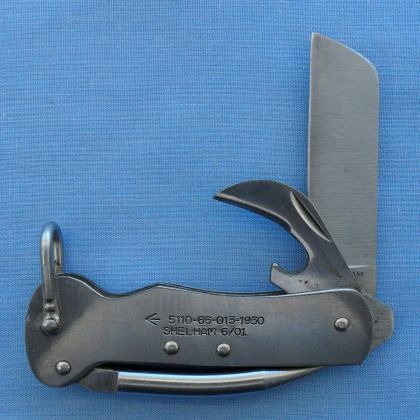 Since the 1980's, Shelham (Sheldon & Hammond) has supplied the Australian Military Forces with a 3 blade stainless steel clasp knife. This model knife was made in Japan. This knife has been noted with the dates: 8/1983, 5/87, 6/88, 4/90, 4/91, 5/92, 4/94, 1/95, 7/96, 2/98, 2/01, 5/01, 6/01, 7/01, 8/01, 9/01, 10/01 and 11/01.